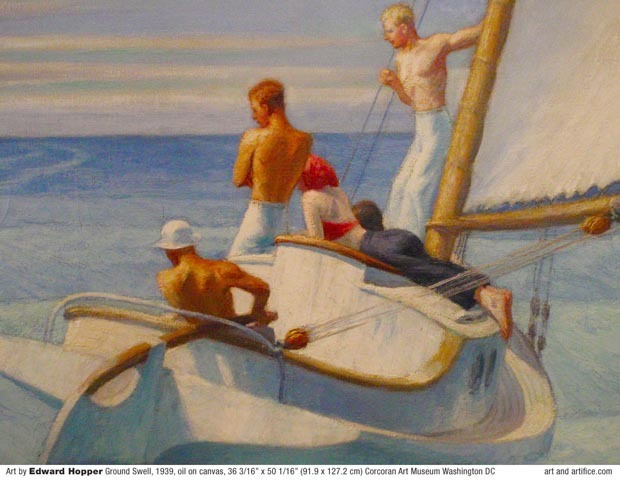 Hopper's 1939 painting of young people watching the rising tidal swell against their boat is usually spoken of as a premonition of the coming war which began for Europe in 1939 but didn't include the United States until 1941. 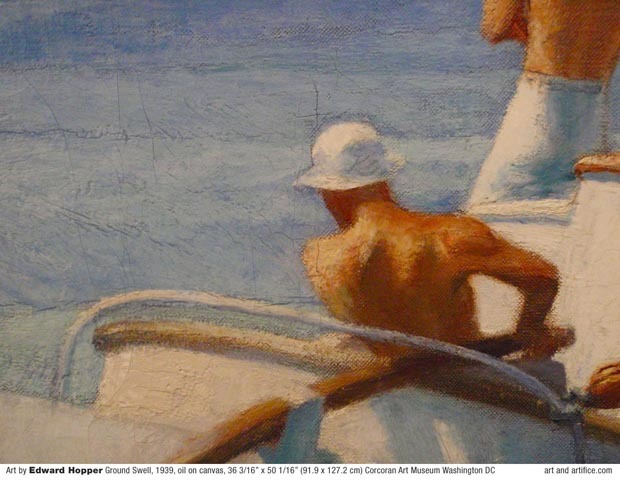 See the painting Ground Swell enlarged. 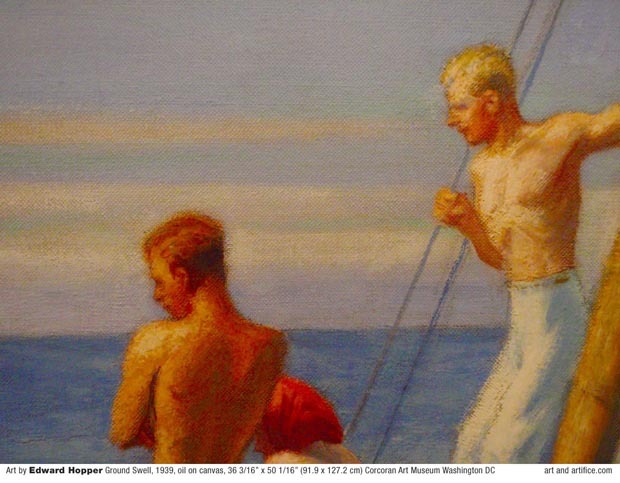 This painting is at the Corcoran Gallery of Art in Washington DC. Portrait painting "Mrs. Richard Brinsley Sheridan" by Thomas Gainsborough. See enlarged. 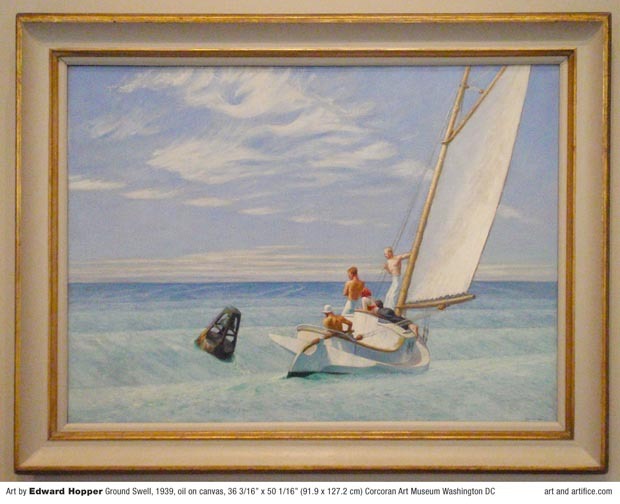 This painting is in the collection at the National Gallery of Art in Washington DC. Diego Rivera, Portrait de deux femmes, 1914.